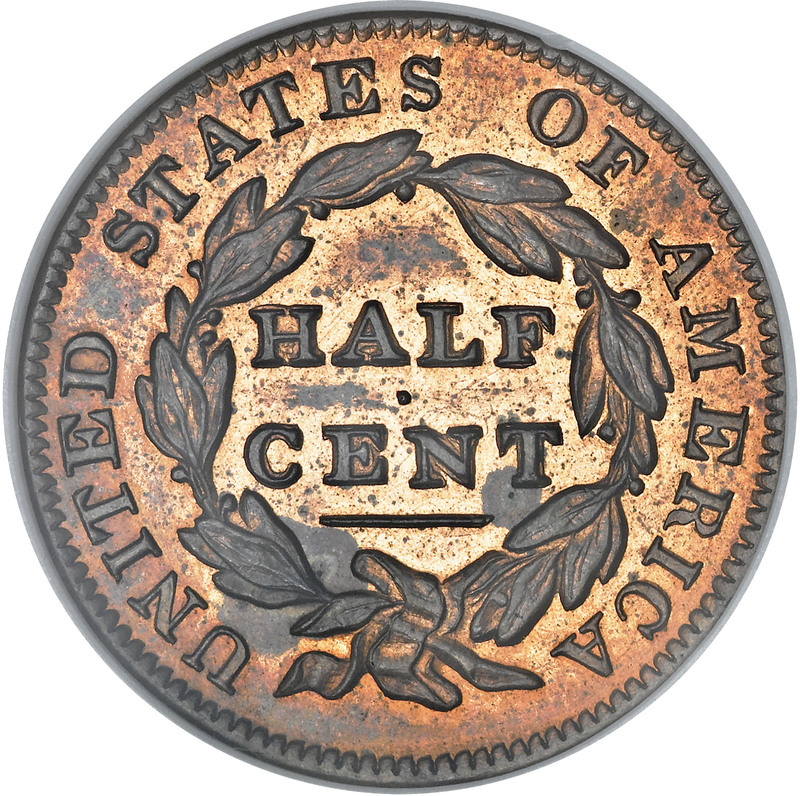 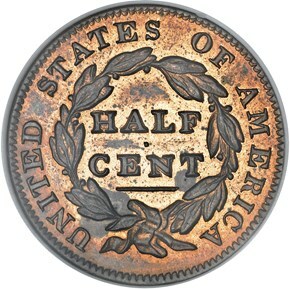 Though Walter Breen reported proofs for both varieties of 1835 half cents, it's almost certain that all true proofs are of the C-2 die marriage. 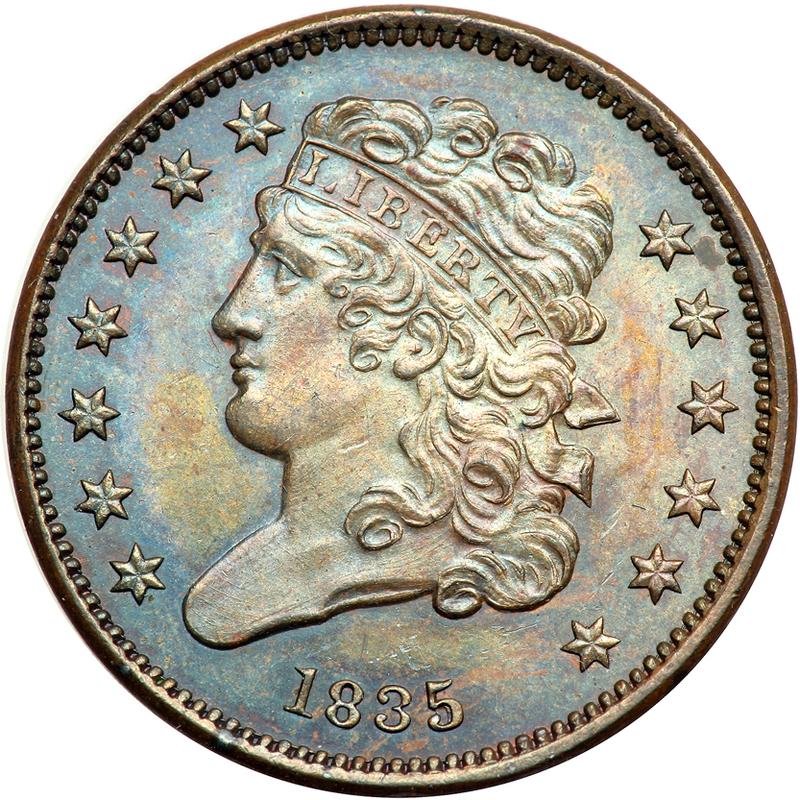 This variety was coined prior to C-1, and this is consistent with the proofs of these years preceding the currency strikes. 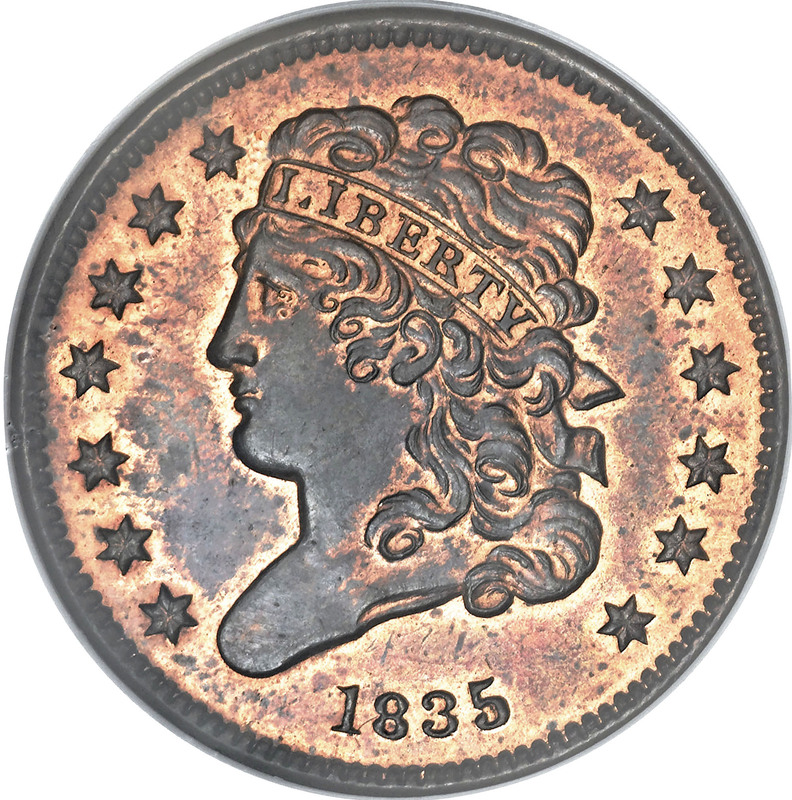 Proof 1835 half cents seem to be similar in rarity to those of 1834, with approximately 18 known.